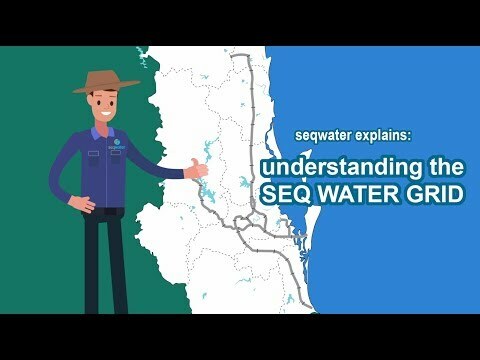 Could you imagine South East Queensland without water? It’s a future no one wants to see. Our climate is changing and our population is growing. So how do we make sure we have the water we need, and don’t run out? The dams we use for drinking water have served us well, but they count on rain falling where and when we need it. So, if we can’t always count on the rain, what do we do? The conversation starts here. Take a look around, get involved and let us know what you'd like your water future to look like. Australia is the driest inhabited continent. The large number and size of water storages is because we are an arid country with highly variable rainfall. There are more than 800 major dams in Australia. We have 26 of them here in South East Queensland. Our newest dam is Wyaralong, in the Scenic Rim, which was completed in 2011. Baroon Pocket Dam is the largest dam on the Sunshine Coast, which holds 61,000 megalitres. If we were to pour all the combined water from the Sunshine Coast's drinking water dams into Wivenhoe, it would only fill Wivenhoe to about 8% of its drinking water capacity. Need more water? Just build more dams! While we’ve relied on dams in the past, and they’ve served us well, dams can only store water if it rains when and where we need it to. All the prime locations for dams have generally already been snapped up. Many of our dams were built more than fifty years ago (some even earlier). We regularly monitor and assess our dams and some have been identified for upgrades, so that they continue working as they should. But most dams only have a life expectancy of 50 – 100 years. On the Sunshine Coast, Baroon Pocket is the baby of the bunch, having been completed in 1988. Wappa Dam (1963), Lake Macdonald (1965), Ewen Maddock (1976) and Cooloolabin (1979) were all built nearly 40 years ago.Lake Macdonald will undergo a major upgrade in the next four years. We will complete the second stage of the Ewen Maddock upgrade - the first stage was completed in 2012. Upgrades of Wappa and Cooloolabin have been completed. Somerset (1959) and Wivenhoe (1984) will also be upgraded in the next five years. Click here to play video Wyaralong Dam to be connected to the SEQ Water Grid The Scenic Rim region is set to be connected to the South East Queensland Water Grid for the first time. The $135 million Beaudesert Water Supply Upgrade will provide a long-term water supply solution for the rapidly growing region.